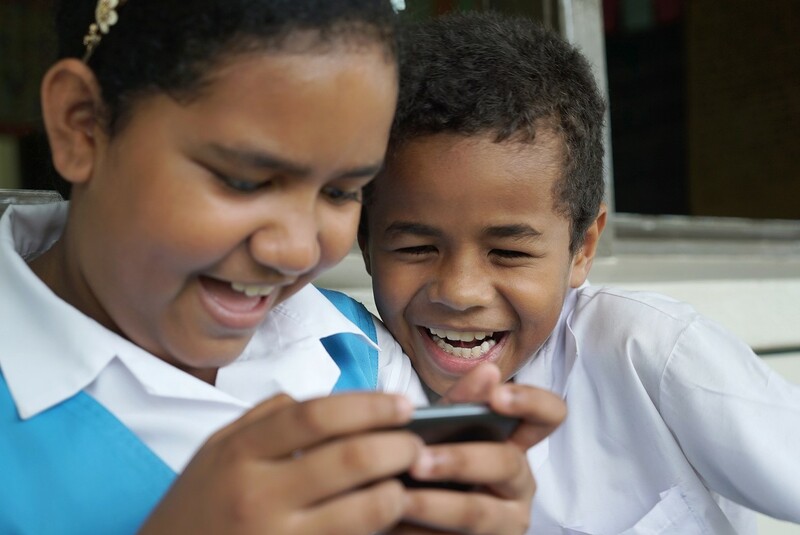 Just over a year ago, the innovationXchange partnered with the LAUNCH Food platform, to trial the use of new and emerging storytelling technologies to promote healthy eating and nutrition education in the Pacific. Fast forward a year and the two innovative pilot programs, Our Special Island and Beyond the Stars, are not only being trialled in selected primary schools in Tonga and Fiji respectively, they have also been showcased as best practice ‘games for good’ on the world stage. LAUNCH Legends was born out of a virtual / augmented reality hack in Canberra in 2016 where LAUNCH and iXc created a project to bring some of the event’s many inventive ideas to life in the Pacific. Tash Tan (Co-Founder of creative technology agency S1T2), and Wil Monte (Founder andCreative Director of game-based education application developer Millipede) were selected from a pool of impressive proposals, each pushing the boundaries of both storytelling and technology to address the issues of malnutrition and non-communicable diseases (NCDs) in the Pacific Islands. Our Special Island (Motu Ta’e’iloa in Tongan) is an educational pilot program designed for Tongan children in their first or second year of school. The main resource is a fun tablet application that engages children in learning through play, as they grow and collect healthy food items to use to make traditional meals. Beyond the Stars is an education and storytelling pilot program designed for Fijian children in their fourth year of school. Inspired by the stories of local Fijians, Beyond the Stars takes students on a journey to reclaim the sacred knowledge of an ancient Pacific civilisation that holds the key to restoring health and happiness to the land. The story is told across multiple mediums, including an introductory short film, immersive virtual reality experience, educational storybook and a mobile game. From the outset, the programs have generated significant interest from creative technologists, development and health experts. 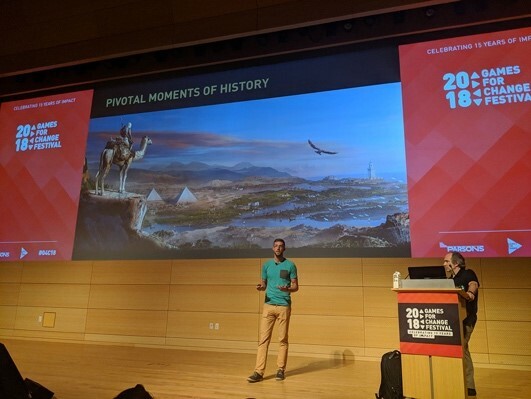 And so, it was with considerable excitement that myself, Tash and Wil accepted an invitation to present at the Games for Change Festival in New York. Games for Change is a festival highlighting ground-breaking work in the field of impact games from across the world. With over 1,000 attendees, the festival attracts professionals from academia, government, media & technology, non-profits, health, social & civic organisations, and the games industry. With our bags packed and presentation well-rehearsed, we took off for the US, curious to see how our work would stack up on the world stage. 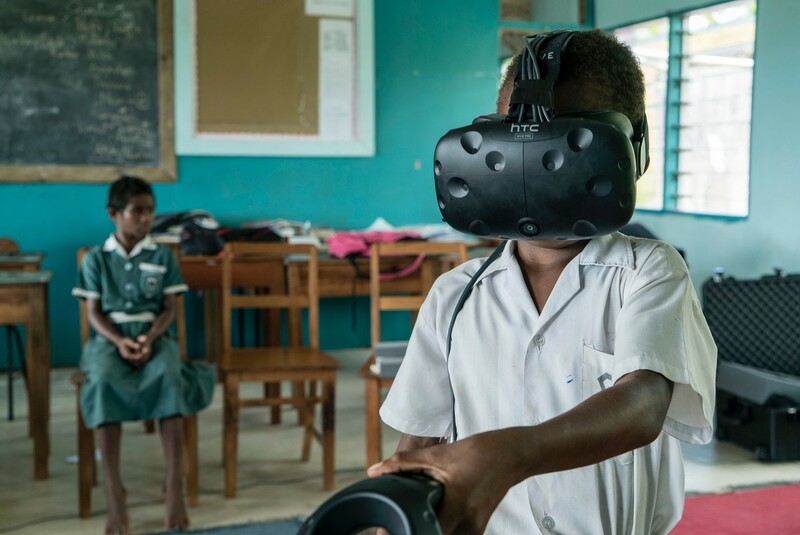 We felt privileged to join the line-up of amazing presentations, including: UNICEF on ‘Empowering tech crazed kids to save lives’ with UNICEF Kid Power: Microsoft on the Xbox’s ‘Adaptive Controller: Industrial Design for Inclusivity’; BBC Earth’s ‘Live in VR’; and Ubisoft’s ‘How Assassin’s Creed expanded for learning’. While we were confident in the quality of our work and its impact, we wanted to deliver something that would resonate with the audience. So we decided to focus on the most important lessons we’ve learned from our work in Fiji and Tonga: listening and relationships. From our first day in the Pacific, it was never our intent to hit the ground saying we had all the answers. We wanted the program to be driven and owned by people from the Pacific, so while in-country we emphasised that we were there to listen and gain insights to create a localised solution. We ran workshops with educators and parents, actively involving them in the design process by having them contribute to content and cultural appropriateness. This inclusive approach proved invaluable as our continued presence saw the program (and us) warmly welcomed into communities and classrooms. 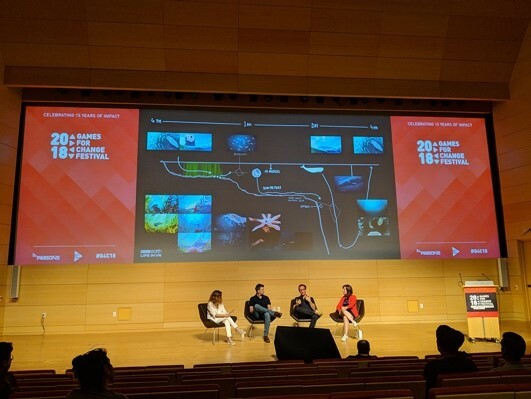 Tash Tan (Beyond The Stars), Allan Soutaris (SecondMuse) and Wil Monte (Our Special Island) at the 2018 Games for Change Festival. For us, building long lasting, trusting relationships has been everything. 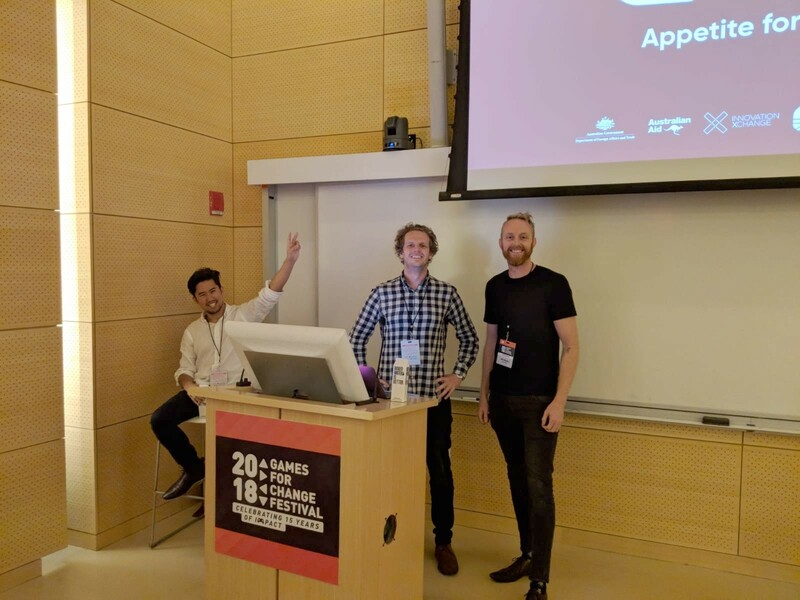 The audience at Games for Change were captivated by our human-centred approach to program design, especially the way we built effective relationships in order to gain insight into the incredible Fiji and Tongan cultures. There was also interest from development and health experts on the monitoring and evaluation frameworks created for the program - with a collective nod of satisfaction from the audience when we described the planning and thought put into data collection and synthesis. Presenting on the world stage was a great opportunity to showcase our work and has vindicated the team’s belief that the LAUNCH Legends program is of world class and a first of its kind in the Pacific. To find out more about the two pilot programs and keep up to date of the evaluation reports, visit the Legends website. Allan Soutaris is Head of Technical Innovation at the Network-Centred Innovation Company SecondMuse. 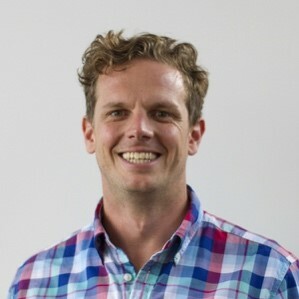 He has a passion for developing cutting-edge, engaging experiences that connect with audiences and deliver impact to communities. Experienced in delivering large-scale projects in the private, public and non-profit sectors, Allan has launched acclaimed campaigns including ‘Children Are Not Tourist Attractions’ in Cambodia with global non-profit Friends-International and ‘Free to Be’ - an interactive safety map for young women in his native city of Melbourne. SecondMuse is a close collaborator of the innovationXchange, working on projects such as, LAUNCH Legends, the Pacific Humanitarian Challenge, the Blue Economy Challenge, and Frontier Innovators.